Is retirement natural and inevitable? Cape Town – National Treasury on Friday gazetted new retirement fund regulations that will ensure members of retirement funds get good value for their savings and be able to retire comfortably. The regulations will be effective from Friday, September 1. In brief, the regulations compel trustee boards of retirement funds to offer a default in-fund preservation arrangement to members who leave the services of their employers before retirement. In addition, the trustee boards also need to make provision for a default investment portfolio to contributing members who do not exercise any choice regarding how their savings should be invested. For retiring members, a fund should have an annuity strategy with annuity options, either in-fund or out-of-fund, and can only “default” retiring members into a particular annuity product after a member has made a choice. Member defaults should be relatively simple, cost-effective and transparent. The default regulations will require that fund trustee boards assist members during the accumulation of savings and retirement phases. With regard to a default investment portfolio, all retirement funds with a defined contribution category need to have such a portfolio. The investment portfolio(s) should be appropriate, reasonably priced, well communicated to members, and offer good value for money. Trustees are required to monitor investment portfolios regularly to ensure continued compliance with these principles and rules. Performance fees will be allowed but subject to a standard to be issued by the Financial Services Board and a regulatory or policy review. Loyalty bonuses may not be paid. The default investment portfolio regulation, for now, does not apply to retirement annuity and preservation funds. Default preservation funds – where membership of these funds is compulsory due to conditions of employment (such as pension and provident funds) – will need to change their rules to allow for default preservation, as some of these funds currently do not allow resigning workers to leave their accumulated retirement savings in the specific fund. The employee, however, will have the right and option to withdraw, upon request, the accumulated savings or be able to transfer the funds to any other fund. Employees will also be required to first seek retirement benefit counselling before they make a decision on whether to withdraw the funds, transfer them or leave them in the previous employer’s fund. The default preservation regulation does not apply to retirement annuity and preservation funds. 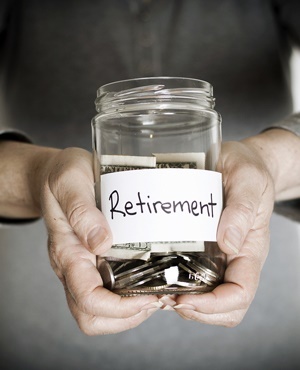 Retirement funds should also follow a so-called annuity strategy. There are currently two types of annuities – a living annuity and a life annuity. A life annuity, once chosen or defaulted into, becomes irreversible. To improve management of this irreversibility, it was decided that funds should ask members to indicate beforehand what type of annuity (e.g. life or living annuity) should be paid. This required pre-selection by the members makes the purchase of an annuity a “soft default” by having the member “opt-in” instead of “opting-out”. Therefore a member must first indicate which annuity product he or she would prefer. The “default” annuity should also be appropriate for members, well communicated and offer good value for money. Members should be given access to retirement benefits counselling to assist them in understanding and giving effect to the annuity strategy. National Treasury points out that provident and provident preservation funds must only establish an annuity strategy if the fund enables the member to elect an annuity. This however does not mean that members of provident funds are compelled by these regulations to purchase an annuity upon retirement; the annuitisation of provident funds remains under discussion at the National Economic Development and Labour Council (Nedlac).